All Saints Academy offers an academically strong faith-based education to students in Pre-K through 8th Grade School. The schooll is Accredited by the Middle States Commission on Elementary Schools. 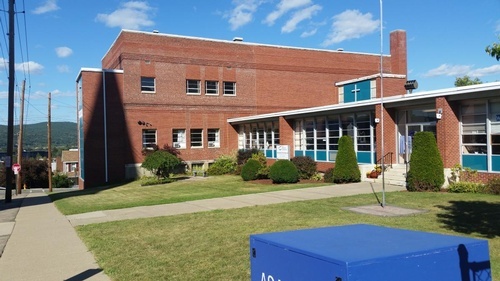 All Saints Academy Catholic School, located in the Diocese of Rochester, will serve as an extension of the church's educational ministry by continuing the teaching mission of Jesus. - Nurture young people to become service oriented, responsible, and self-directed individuals. All Saints Academy will recognize the dignity of each child and the rights of parents as primary educators of their children. All Saints Academy decisions will be based on a commitment to provide each child with a quality education grounded in the Catholic tradition and Gospel values.